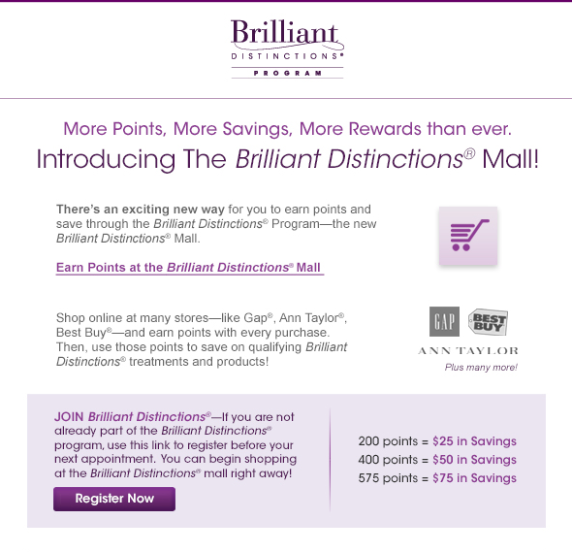 Shop your favorite retailer and earn Brilliant Distinction points! Allergan (makers of Botox, Juvederm, and Latisse) and the Brilliant Distinctions Rewards Program have launched the brand new Brilliant Distinctions Online Shopping Mall. To take advantage of this fantastic new way to earn Brilliant Distinctions points, login to your Brilliant Distinctions account by clicking on the following link: BRILLIANT DISTINCTIONS LOGIN. Once you are logged into your account, look for the “Earn Points” sections and there you’ll find another link to the “Brilliant Distinctions Mall”. Once there, you can select from literally hundreds of retailers from whom you can purchase products online. Each retailer will tell you how many Brilliant Distinctions points you can earn based upon how much you spend with them. The graphic below shows just a small sample of the hundreds of top retailers that are involved in the program. Now, shopping online for everything you need, from clothing to home improvement to travel and leisure can literally earn you FREE money towards your next purchase of any Allergan product, including Botox, Juvederm, and Latisse. The more you shop the more you earn! Brilliant Distinctions is a rewards program through Allergan, the makers or Botox Cosmetic, Juvederm injectable gel, Latisse eyelash growth serum and Vivite Skin Care products. It is free to join, takes only a few minutes online to register, and every time you purchase any of these Allergan products you earn points which can be redeemed for money off your next treatment. As little as one treatment with Botox can earn you 200 points, which is worth $25 off your very next Botox treatment. 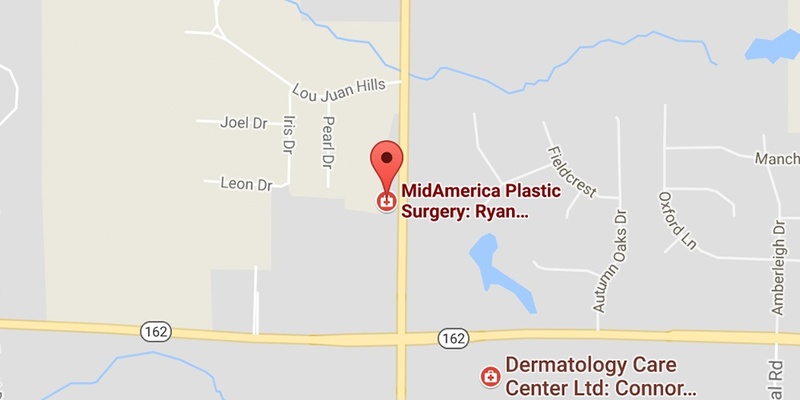 Call us at 618-288-7855 or info@midmaericaplasticsurgery.com to learn more today!